We have no idea why hand cuffing the main man to various things is such a popular stag night activity. Could it be simply that it is so damn funny? Most likely, well we have the perfect metal wrist cuffs to perform just this kind of prank with. Made from quality metal these are impossible to break out of, that is of course if you forget about the safety release, which in fact makes it pretty easy to break out of, but still they look very authentic. 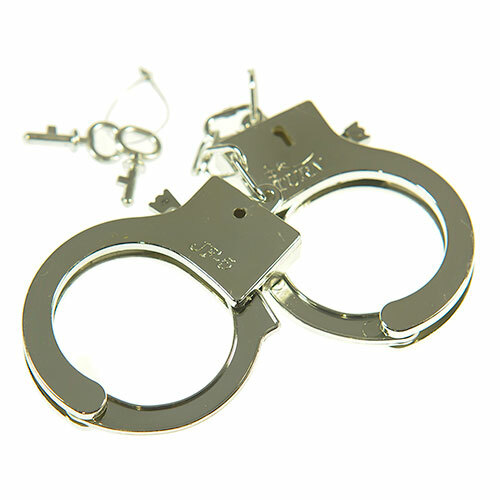 The chances are that whoever is unfortunate enough to be attached to a park bench with these metal cuffs wont find the safety release, therefore we provide the keys so you can collect him in the morning. 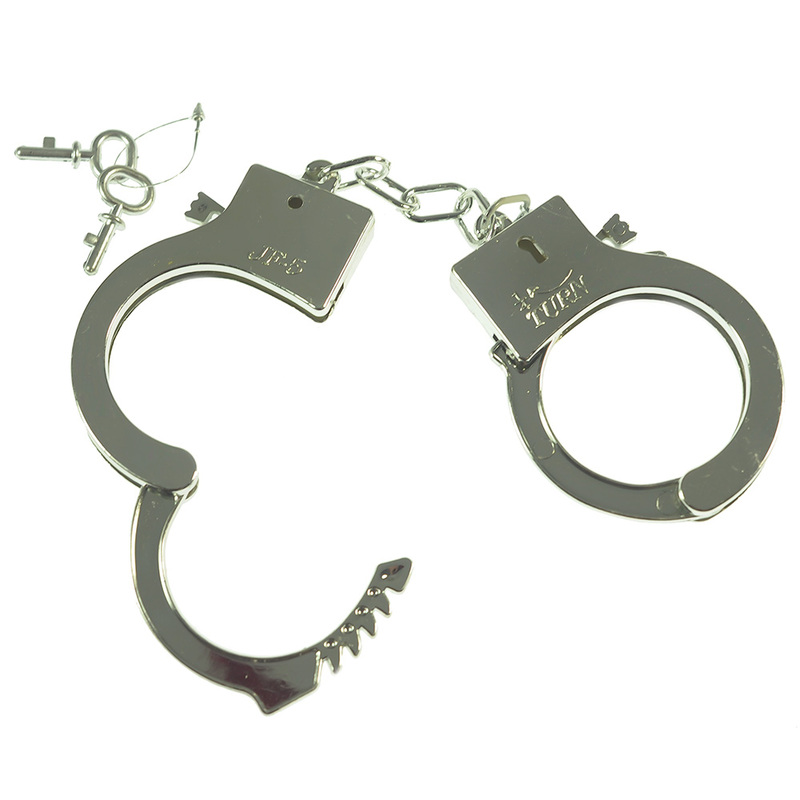 Would it be a real stag night without a pair of handcuffs featuring somewhere along the line? The answer is probably not, thats why these metal restraints really are essential stag night material. "Cheap, looked good, able to take handcuffs off with too much ease." "The box was falling apart when it arrived and the links could've been a bit stronger (don't ask!) but overall I have to say excellent value and grand for our night out. " 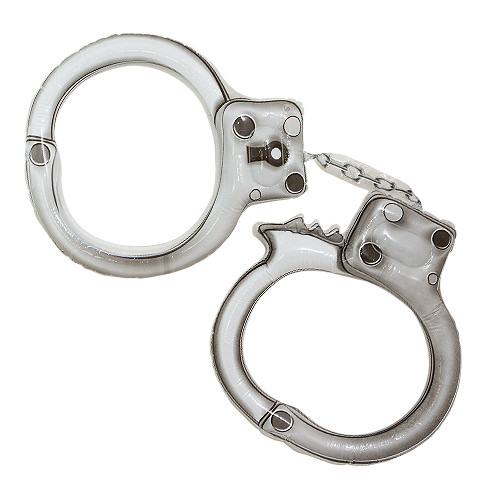 "Metal handcuffs with only one way of taking them off and that’s with the keys again excellently made." 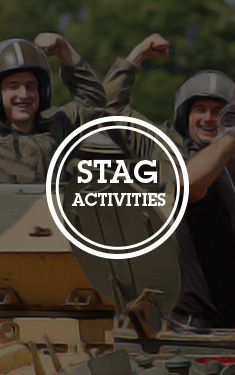 "Good item, well priced but unfortunately the stag bolted as soon as they came out!" 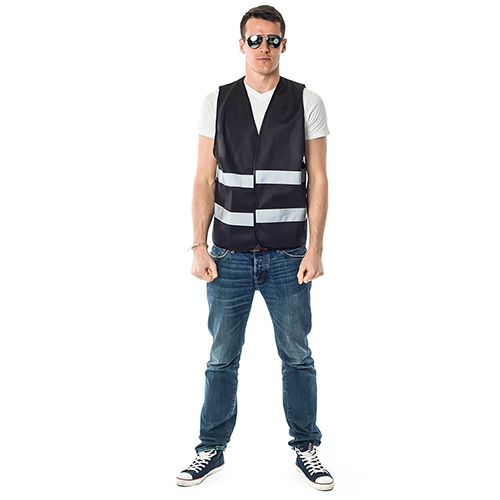 "A fantastic purchase, especially as the stag was a serving police officer - he loved it! Highly recommended." 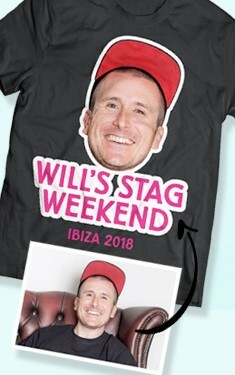 "Good value, Although not ideal for someone with large wrists"
"Not sure the stag enjoyed it - but from all the the other people on the stag weekend - brilliant!" "Did the job although you don’t need the key to unlock them." "Not build for comfort - however admittedly they are not intended for that!" "done the job they were made for,unfortunatly he could get out of them without the key"
"Luckily the groom was too drunk to realise there was a release catch. Great value for money"